Michelle’s Piano is the official Steinway & Sons Piano Dealership in Portland, OR. We offer the largest selection of new and pre-owned Steinway Pianos in Oregon. Our showroom features many new and used Steinway & Sons pianos that are at the best prices available. Since 1853, Steinway pianos have set an uncompromising standard for sound, touch, beauty, and investment value. Handcrafting each Steinway requires up to one full year – creating an instrument of quality and global renown. Steinway pianos have 160 years of history in the piano world and industry. Currently Steinway pianos are one of the most sought out brand of piano because of the incredible craftsmanship. where are steinway pianos made? All Steinway pianos are handmade in either Astoria, New York or Hamburg, Germany. To this day Steinway & Sons still uses many of the same techniques they first invented by the Steinway family. Each Steinway Piano is handmade over the course of one full year and every Steinway piano is checked for perfection. Approximately 2,500 Steinway Pianos are produced each year. Read more about where Steinway Pianos are made. Looking for information about how Steinway serial numbers work? How to find out which year your Steinway piano was built? How to find out more about purchasing a Steinway piano? 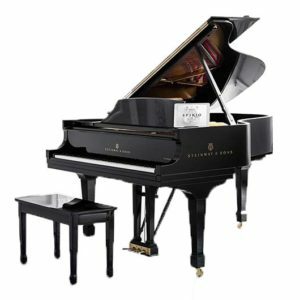 Looking for frequently asked questions (faq’s) about Steinway pianos? 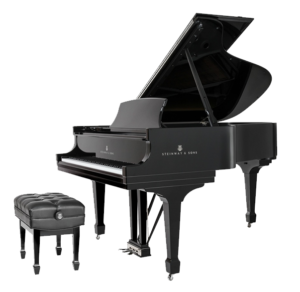 Check out our Steinway Piano Information Center here. Handcrafting each Steinway grand requires up to one full year – creating an instrument of rare quality. Played by professionals around the world, Steinway Grand Pianos offer the most exquisite piano experience. Handcrafted in the same factory and to the same standards as Steinway’s concert grand pianos, Steinways upright pianos are truly magnificent. The rich sound and expert craftsmanship shine. Certified and trusted pre-owned and used Steinway pianos from the official Steinway dealership. Make sure your next used Steinway is certified and that all parts are genuine. A high-resolution player and recording piano system which brings rich emotion and depth. Steinway Spirio captures the true essence, nuance, and soulfulness of a live performance, allowing the piano to bring artists and their audiences closer than ever before. With the new Spirio | r artists can record as well.